If you are charged with a felony or misdemeanor in Washtenaw County, you need someone who is not just a local lawyer who is known for pleading out clients, you need a Criminal Defense Attorney who is known throughout Michigan as someone who gets results no matter what it takes. The Defense Team with LEWIS & DICKSTEIN, P.L.L.C. has decades of experience successfully handling felony and misdemeanor cases throughout Washtenaw and a proven track-record of achieving highly favorable results. When the stakes are high and there is no room for errors and false promises, LEWIS & DICKSTEIN, P.L.L.C. 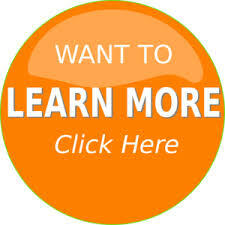 is the law firm of choice to defend your rights and protect your future. Call us today for a free consultation and confidential case evaluation at (248) 263-6800 or complete a Request for Assistance Form and a highly experienced Washtenaw County Criminal Defense Attorney will promptly contact you. About Washtenaw County – One of the more affluent counties in Michigan, Washtenaw County is located in southeast Michigan. Its 27 cities, villages and townships are home to about 354,000 citizens. Some of the bigger cities include Ann Arbor and Ypsilanti. Washtenaw County is home to two of Michigan’ s largest universities – the University of Michigan in Ann Arbor and Eastern Michigan University in Ypsilanti. There is one circuit court in Washtenaw County. 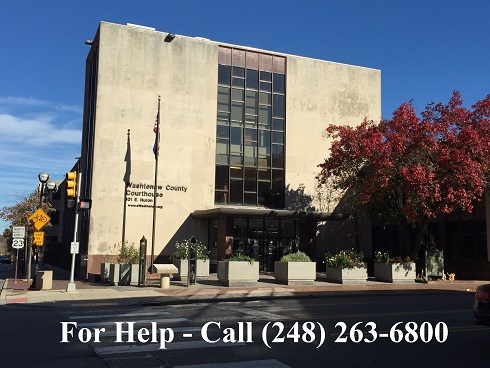 The Washtenaw County Circuit Court is 101 E. Huron St., PO Box 8645, Ann Arbor, MI 48107-8645, (734) 222-3270. The three district courts are the 14A District Court, the 14B District court, and the 15th District Court. 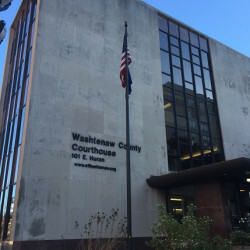 The 14A District Court handles all cases arising in Washtenaw County except those within the City of Ann Arbor and the Township of Ypsilanti. The judges at the 14A District Court include Richard E. Conlin, Kirk W. Tabbey, and J. Cedric Simpson. The court is located at 4133 Washtenaw, Ann Arbor, MI 48108. The 14B District Court processes all cases arising in Ypsilanti Township served by the Honorable Judge Charles Pope and Magistrate/Court Administrator Mark Nelson. The 15th District Court is located in downtown Ann Arbor and handles all cases arising within the City of Ann Arbor. The court is presided over by three judges, the Honorable Elizabeth Hines, the Honorable Christopher Easthope, and the Honorable Joseph F. Burke. What types of cases are handled in the Circuit and District Courts? 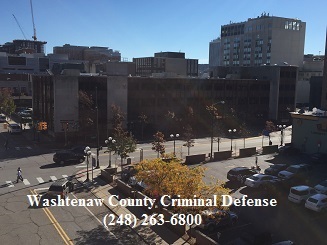 The Washtenaw County Circuit Court handles all felony cases in Washtenaw County including, but not limited to, felony OWI and Retail Fraud, Felonious Assault, Weapons Charges, Possession and Delivery of Controlled Substances, Homicide, Fraud, Embezzlement, Uttering and Publishing, Carrying Concealed Weapon (CCW), felony Probation Violation and many more. The district courts hear all traffic and misdemeanor cases including, but not limited to, misdemeanor Retail Fraud and Operating While Under the Influence, OWI, DUI, Assault and Battery, Possession of Marijuana, Larceny, Driving While License Suspended (DWLS), Reckless Driving, misdemeanor Violation of Probation (VOP) and more. If you are charged with a felony or misdemeanor, you need the strongest, most effective Washtenaw County criminal defense lawyers to help you avoid a conviction and jail if possible. Regardless of whether you are looking for an attorney to get you the best possible plea bargain or sentence or looking for an aggressive defense lawyer to win at trial, you need the experienced and nationally recognized defense lawyers with LEWIS & DICKSTEIN, P.L.L.C. to help you. Call us today at (248) 263-6800 or kindly complete a Request for Assistance form and a seriously experienced criminal defense lawyer will promptly contact you.